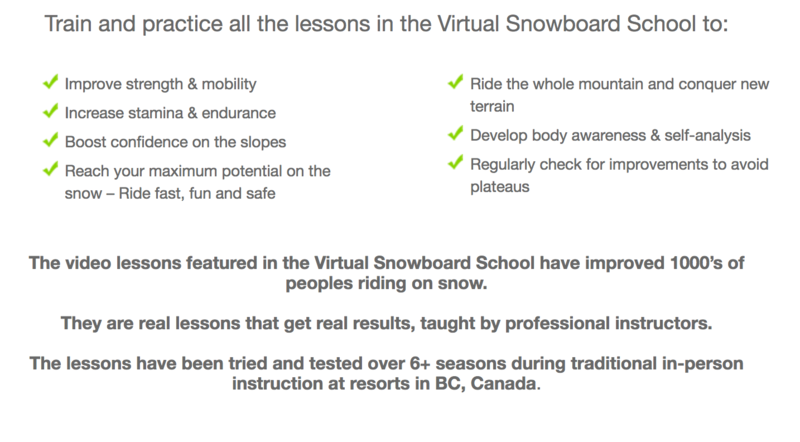 Watch & Ride Virtual Snowboard School simplifies the whole skill of snowboarding into 5 How To’s. Each How To is individually targeted and improved with specific lessons. Every How To has lessons for you to practice that will skyrocket your riding technique. Lessons are categorised into 3 skill levels: beginner-green, intermediate-blue, and advanced-black (just like the slopes). Progress through the ability levels by practising and mastering all the Virtual Lessons. It’s easy to learn and improve when all of the skills involved in snowboarding are isolated into their own parts. You can take on new information and feelings quickly, and practice with a high rate of success due to learning in manageable bite-sized pieces. Develop the mindset of continuous improvement and in no time you will be riding like a pro! The way you stand on the board is the foundation of success. The ability to maintain a centred and mobile will allow you to have a lot more fun! Just like the foundations of a house, if you are not on a stable base, you cannot build anything new on top. The other How To’s will be difficult to practice without a solid stance. To develop your riding and easily acquire new skills, a balanced athletic stance is crucial. 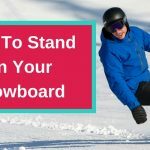 As you develop your stance on the board you will be more comfortable/confident trying new movements and techniques. Your new found body awareness will dramatically improve your rate of success when experimenting on the board. 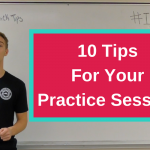 Through practice, you can train your brain to learn and feel where your limbs are in space. A strong and mobile position while snowboarding allows you to manage all terrain as well as continually balance and adapt. Think of sitting on a chair when you’re on your heel edge, and being a sprinter coming out the blocks on your toe edge. You must keep your body weight to the inside of your turns to be stable and move freely. Understanding your body, and how to create an athletic position will dramatically improve how you interact with the mountain and what terrain you can conquer. To explore all terrain on the mountain, responsive board control is a must. You need to use and combine a variety of lower joint movements to control speed, steer, and direct your board. Help direct the board with your eyes and look where you want to go. It’s like driving a car, you don’t look down at the road. You want to see everything in front of you. This will help you be able to balance better and enhance your ability to steer with the lower body. Try to steer the board across the slope, out of the fall line to help you maintain control of your speed. The fall line is the fastest way down the slope. 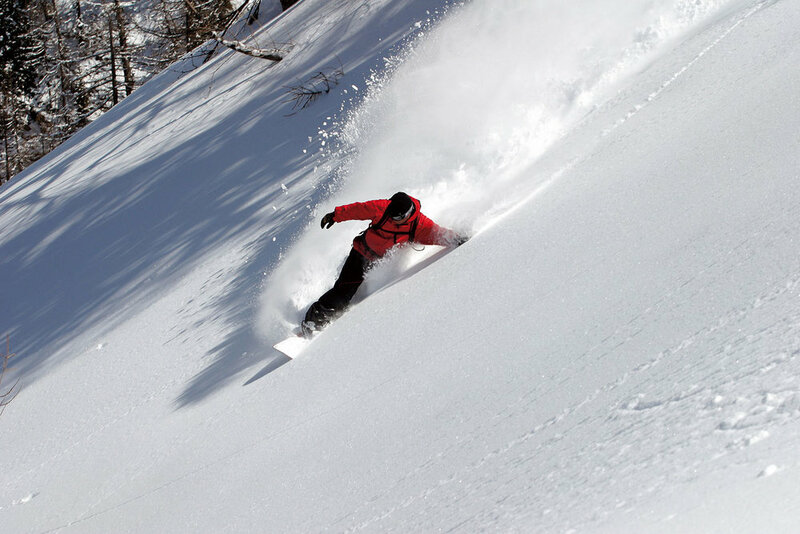 In snowboarding ideally, you want to have a quiet upper body coupled with a dynamic and active lower body. The upper body stays relaxed and in line with the snowboard. The lower body drives and directs the board. As you learn how to properly use each body part to steer, you will feel a direct connection from body-to- board. Use your hips, knees, and feet to guide the board, manage speed, as well as change up the size and shape of your turns. This will give you increased confidence, and enhanced control in a vast amount of terrains like trees, moguls, and steeps. 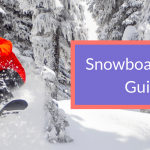 You need to effectively use the edges of your snowboard to have control and stability in all terrain. Edges let you grip the snow to direct the board and control speed. The sidecut of the toe and heel edge are designed to do the work for you and make turning easy. When the sidecut is engaged, the board will want to grip and turn in its natural arc. By mastering the use of leaning and bending through your turns you will gain new elements of control and balance. You lean to the inside of the turn to maintain balance and bend to get closer to the board to gain stability. It will also give you the vital ability to moderate the amount of edge applied to grip the snow. You will gain stability when turning with effective edge grip, which will make you feel safer at higher speeds. The ability to edge early means that you engage your downhill edge above the fall line. This lets you gain grip earlier into the new turn, which gives you more time to adapt, balance, and control your speed when turning. By refining the use of your ankles, knees, and hips, you can increase or decrease the edge angle. Different scenarios, like riding in tight trees may require the need for a flat base over an edge in the snow. This allows you to turn/pivot fluidly without resistance from the edge, and gives you the expert technique of “slip and grip”. Ability to moderate edge angle – How much edge is needed for the situation? Early Edging – Engage your downhill edge above the fall line. The stand out quality of an expert rider is knowing how to apply pressure and manage forces felt from the terrain. Developing a loose and adaptable position will enhance your ability to react in a variety of situations. If you can move dynamically with your lower joints, you will gain confidence and be able to explore new terrains such as steeps, trees, and bumps. At faster speeds and in steeper terrain the forces you feel and interact with are much greater. You need refined movements from the lower joints to control speed while turning. This will also help you manage the forces underneath your feet, and keep the board on the snow. Through continuous adjustments to your bodies position, you can learn how to manipulate the forces you interact with. Meld and flow into whatever terrain the mountain throws at you. If you are static, you are stuck. You can’t ride moguls or bumps with a stiff lower body, or locked out joints from poor positioning. Being able to relax your ankle joint in bumpy terrain is a must as this is a key joint to help you absorb. 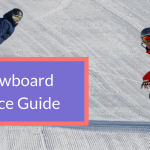 Through the understanding of how to create, control, and release pressure you will learn how to manipulate your snowboard. By deliberately deforming the snowboards shape, you can generate and control the rebound created. This will give you a dramatic increase in performance and will help you to project downhill into the next turn. The ability to create rebound out of your equipment is why you pay $400+ for a snowboard. If you cannot effectively manipulate the board and create rebound you are wasting your money! Flow over any terrain with loose/adaptable lower body – Exploration into steeps, trees, and moguls. The ability to combine all the movements you are learning is fundamental to riding with style and fluidity. When you blend the 5 How To’s together, it is much easier to advance your skill set and ride more challenging terrain. Crucial to this area is the ability to time and coordinate the variety of movements your body is trying to perform. Timing is when the movements happen. Coordination is the order in which these movements happen. A Snowboarder who can observe the terrain and plan their line will be able to flow and anticipate any movements that need to be made. If you can think 2 – 3 turns ahead you will dramatically reduce your chances of getting caught unaware. The ability to think ahead and plan your turns is crucial to being able to ride in the trees. 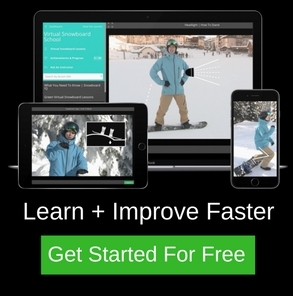 If you haven’t claimed your free trial of the Virtual Snowboard School yet, click the link below to skyrocket your riding skills. Happy Snowboarding!